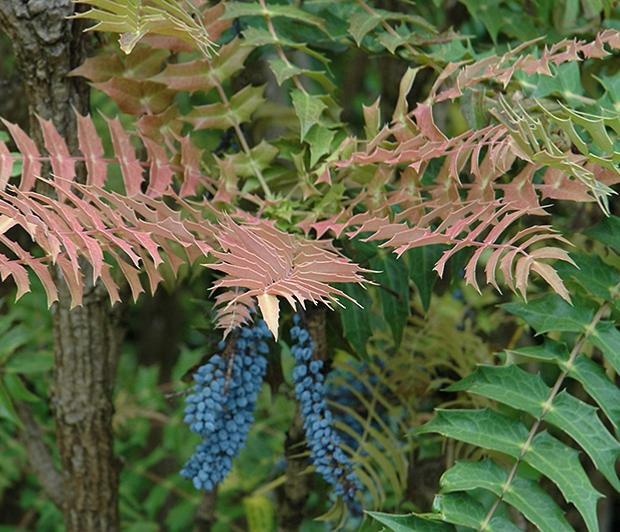 Mahonia lomariifolia is a beautiful architectural evergreen shrub renowned for is dramatic long pinnate evergreen leaves which emerge tan to orange in the spring. 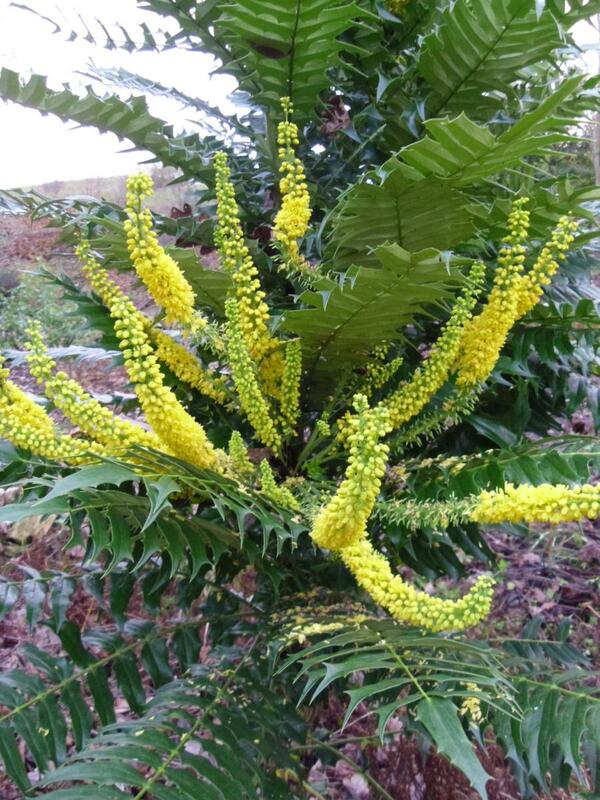 Winter flowering with long tassle like inflorescences it is prized like many Mahonias for their winter interest and yet has year- long appeal. The fissured cork like bark is also a feature on older specimens, and the strings of bloomy blue fruit in the Spring are quite unusual. 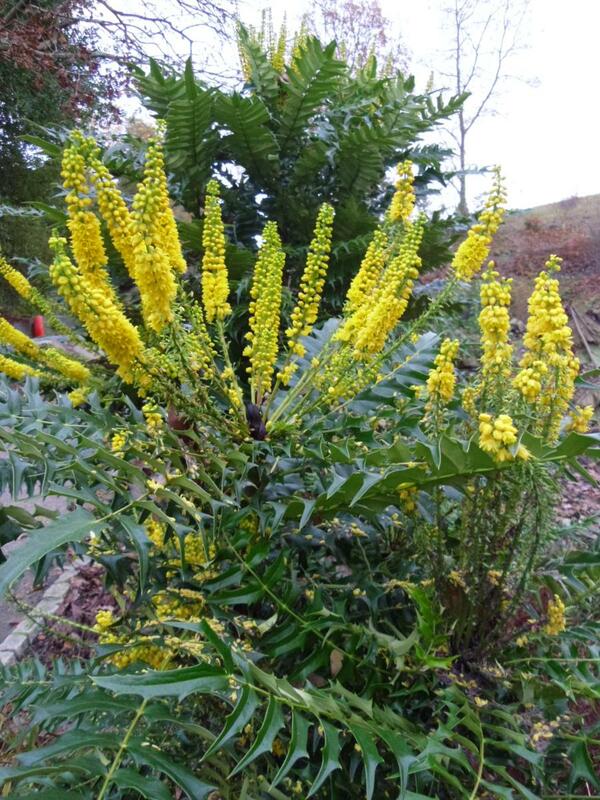 Mahonia lomariifolia is one of the parents of most of the more common garden hybrid Mahonias, such as ‘Charity’ and ‘Winter Sun’, and yet in its own right it is a very distinct and beautiful thing. It has longer leaves with more numerous leaflets and therefore more architectural appeal than its hybrid siblings. It is possibly less hardy than the hybrids, but is more hardy that many other species we now take for granted and should not be dismissed on this basis. Our plants are grown from seed from an isolated source. They may show some variability as with most seed raised plants, but should be true to the species characteristics. Best grown in sheltered gardens with some light shade. 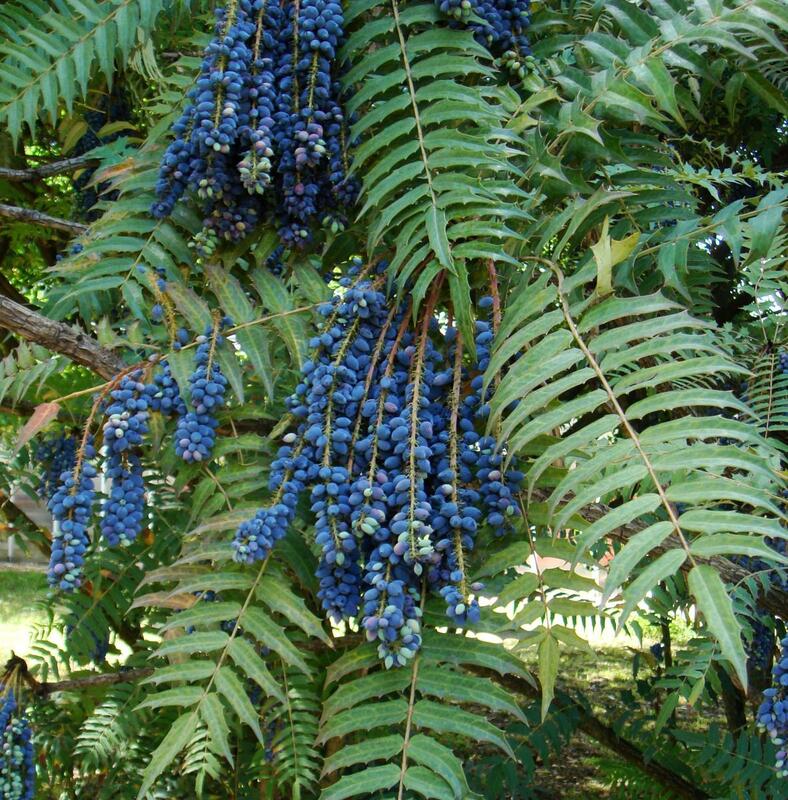 This is not a variety for small gardens, but is very amenable to pruning.